View More In Ginger - Page 4. Ground Ginger is processed from the washed and dried or decorticated rhizomes of Zingiber officinale Roscoe. As typical, the roots shall be irregular, varying from tan to a pale brown color with a pleasant, aromatic, slightly pungent, biting flavor. Ground Ginger is made of the true vegetable substance from which no portion of its volatile constituents has been exhausted. Product shall be free of defects and decay and shall comply in every respect with the Federal Food, Drug and Cosmetic Act. Manufacturer: Gel Spice Company, Inc. Publisher: Gel Spice Company, Inc. Studio: Gel Spice Company, Inc. If you have any questions about this product by Gel Spice, contact us by completing and submitting the form below. If you are looking for a specif part number, please include it with your message. 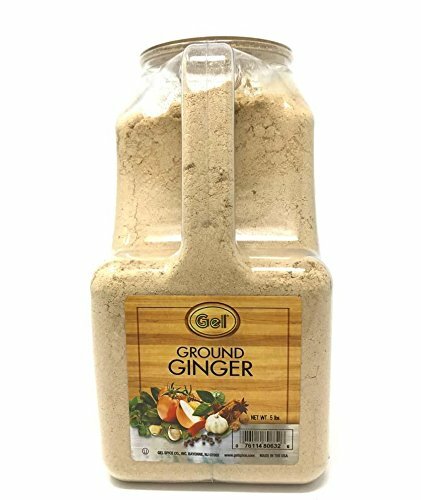 Ginger Root, Ground, 2 oz.